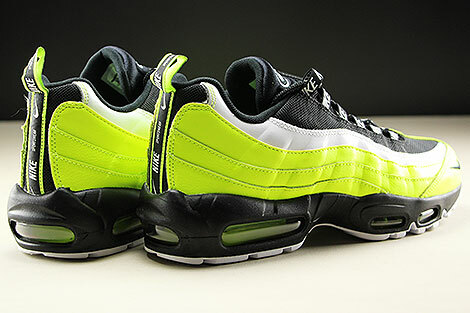 The Nike Air Max 95 Premium was the first of its kind when it was released in 1995. 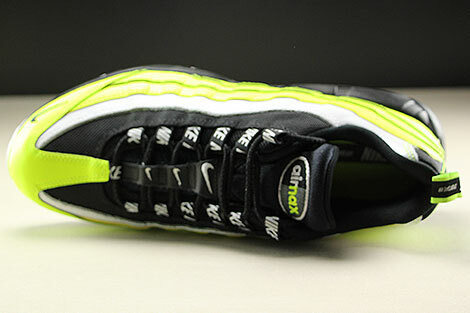 Nike revolutionized running shoes when it released the Air Max 1 in 1987 being the first shoe to have visible Air Max cushioning. 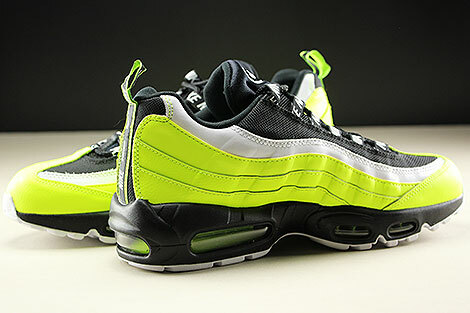 The Nike Air Max 95 Premium Volt Black Volt Glow Barely Volt was the first running shoe in history to have forefoot and heel Air Max cushioning. 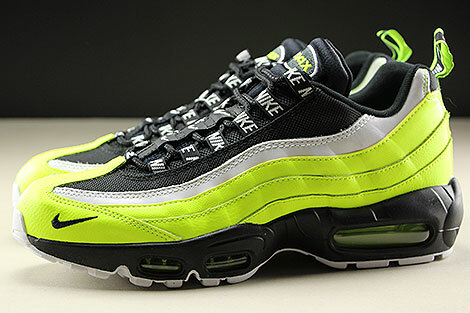 The Nike Air Max 95 was a huge hit when it was released and was also the first Nike shoe to have an Air Max heel which was compressed to different pressures. The air pressure ranges from a low 5PSI in the back of the heel to 25PSI directly underneith the heel to provide optimal cushioning. 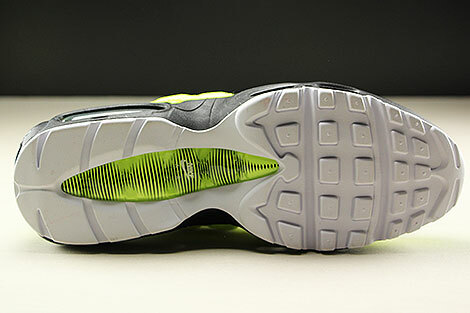 Not only did the Air Max units provide second to none cushioning, but it provided great heel support. 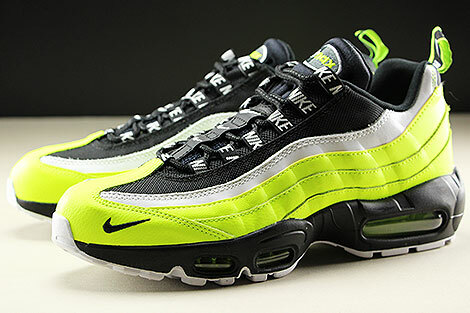 The Nike Air Max 95 comes in Premium materials in a Volt Black Volt Glow Barely Volt colorway. 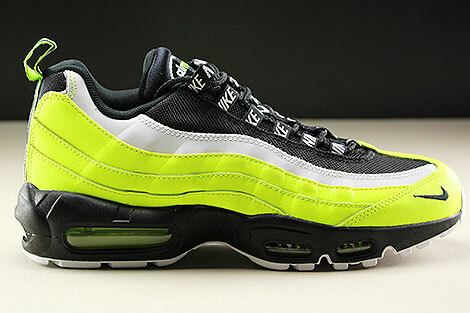 Features black mesh toe box, volt, volt glow and barely volt fabric/leather, the typical Air Max patch and a volt air unit with a white outsole.